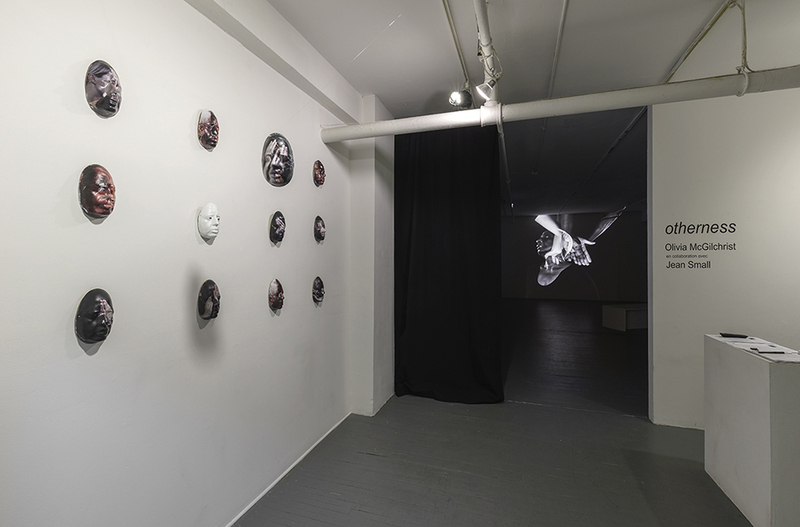 v.2 / multi-media installation with 3 screens and plastic masks and V.R. 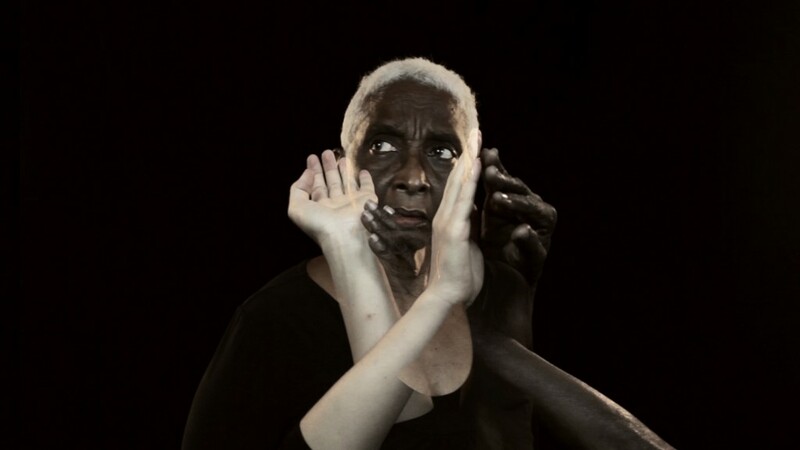 otherness is an ongoing collaborative body of work between 80 yr old actress, playwright and traditional storyteller Jean Small which attempts to deconstruct the physicality of post-colonial bodies through video and live performance. 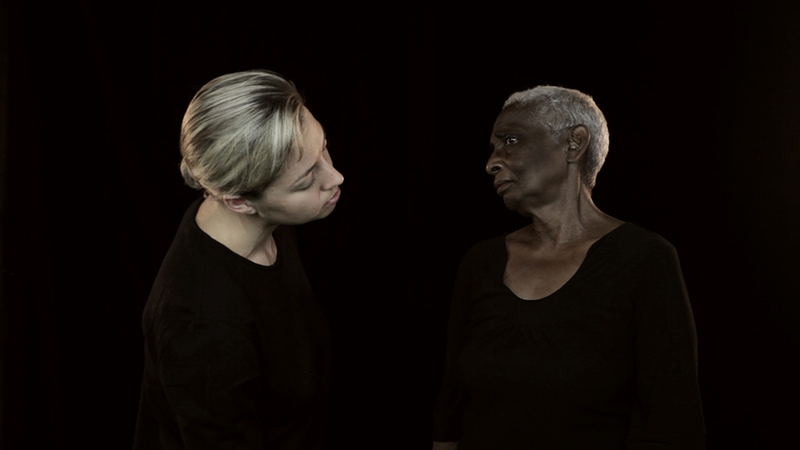 Since 2013, Jean and Olivia have been exploring the re-appropriation of the foreign other body through physical gesture and sound. 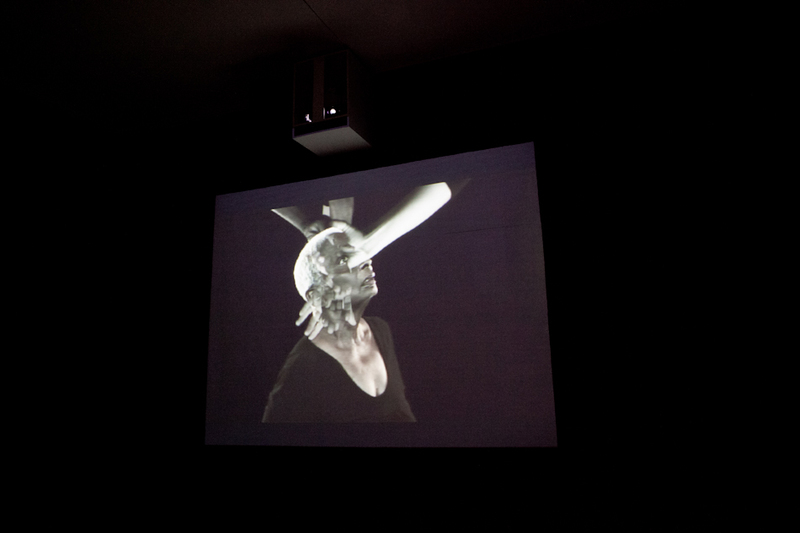 Jean and Olivia’s collaboration is driven by the conflicted idea of an ‘appeased’ re-discovery of this ‘other’. Created in the Caribbean, this work can become relevant in the wider Diasporic context of the Americas. 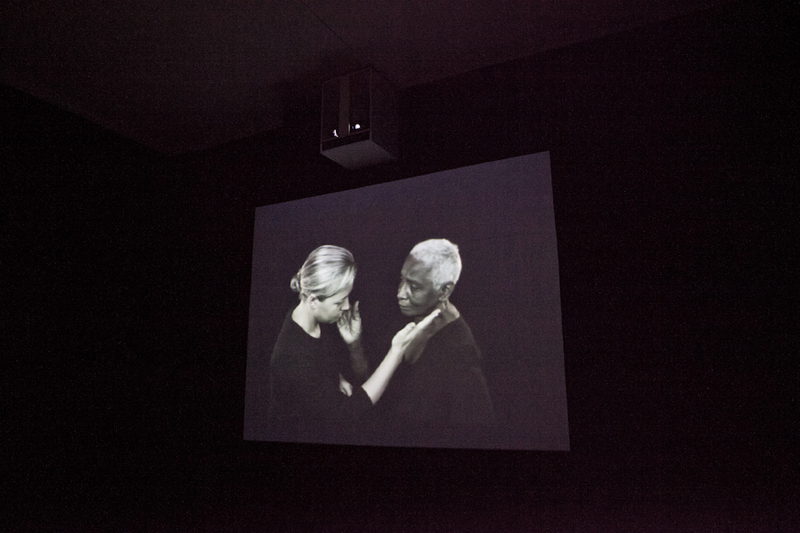 Inspired by Jean Paul Sartre’s ‘Huis Clos’ (No Exit) the piece embodies contested cultural narratives, which are troubled and re-invented by juxtaposing a mimed interaction over two facing screens.